How do I view my campaign analytics? After you click "Manage," you will automatically be brought to the Analytics Tab of your Campaign Manager. Here you'll find detailed data collected from your campaign. *Recent Donation Volume by Date: View your recent donations made to your campaign by date and amount. *Total Donation Volume by Date: View the total gift volume over the entire duration of your fundraising campaign on GiveGab. Donors & Fees: See how many supporters have donated to your campaign and the percentage of supporters that opted to cover the fees on your behalf. *Gift Acquisition: See your average gift size, new donors, and repeat donors on GiveGab. *Traffic Sources: Learn where your donors are finding your campaign so you know the best places to share it out. 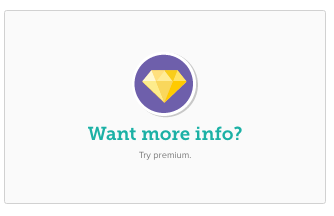 Features with an *asterisk next to it are only available for premium users. 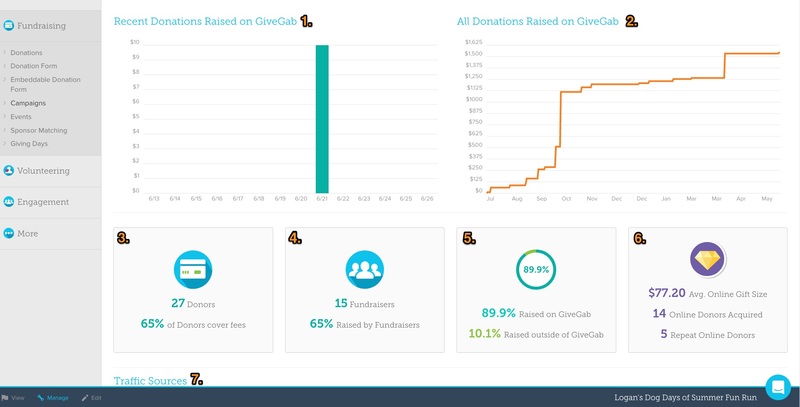 If you're on GiveGab's Basic Launch Plan, and are interested in upgrading to view premium all features, set up a demo and chat with our Nonprofit Engagement Specialist, Kyle!